I liked the shotgun axe. As soon as I saw Mac pick up the cleaver I knew what was going to happen. I laughed so loud it startled my wife. They're really laying on the Civil War buildup thick, aren't they? So many fractures, so many times lines are drawn between characters and they're being asked to choose. I really enjoyed this episode and I was a little confused as to why as it didn't seem substantively different to the previous episodes this season, then I realised...... there was zero Ward. Ward or !WardMonster is unrewarding to watch in the extreme. Mack and the MackJnr on the other hand are just friggin brilliant and I want to spend more time with them. As for the more ponderous moral implications of the overarching story I'll have to let those sit and slosh around in my brain a little more. Also more May and Simmons one on one acting please. Their strengths really play well together. I couldn't stand him. His acting was terrible, and his plot seemed to hackneyed. Fortunately, between Mac, Agent Smoke Monster and FitzSimmons there was a enough to keep me intereted, but the Watchdogs kept reminding me of the Tiger Patrol from Simpsons, and once I made that connection I couldn't not see it. Next episode looks more promising on that front. I like WardMonster a whole lot more than oldWard. I know they're building up to Civil War and all, but, seriously, having to sit through all of this forced ethical conflict is like getting hit in the head with a shotgun axe. Agreed, and it's the constant reference to 'freaks' that is annoying (and lazy from a writing perspective, you KNOW the writers desperately want the characters to say "mutie"). These are people with super powers, I would imagine some people would be cheering and praising them. Hunter's reaction of ingesting fish pills to see if he would get powers struck me as much more realistic. It be easier to swallow if there was public footage of some alien looking Inhumans doing damage. That would really freak people out and cause a lot of instant dislike. Hell, they wouldn't even have to do damage, someone who looked like Lash would be terrifying to people based on looks alone. As to this specific episode, I'm just happy that both black guys managed to live. That's almost a major feat when it comes to media. Daisy name-dropped them when she was talking to the brother at the end of the episode. I am confused. How the heck is SHIELD funded? Congressional appropriations? Not anymore, right? And even before, they were international, I think? Were other countries contributing to their budget, and are they still? If so, what does that say about SHIELD's loyalties? Or are they actually being funded by (rather than just cooperating with) the ACTU these days? I think that between Winter Soldier and their absorption into ACTU they were living off of secret bank accounts that Nick Fury had stashed around the world. If they're ever hard up for cash they could license Fitz's cellphone-battery tech to Samsung or LG for a fortune. Next week, on After School Specials: will Daisy take torture too far? This show feels like joyless homework I have to do as part of a larger commitment to the MCU. FWIW, the guy who plays Mack's brother probably just got stuck with a poorly written part. He acquitted himself well in his time on Grey's Anatomy. "And now I'm in default. Can't afford the house, I can't afford to leave. This is how they get you. System's rigged. They want to keep you down in the dark, man." "They? You sound like those Watchdog nuts." Uh, he hasn't said a word about inhumans. Why not assume he means the banks, wall street, financial overlords of some kind? Going from there to assuming he means inhumans is... a bit of a leap. Fitz was surprisingly calm when he got shot with the sticky-bomb. Also, does no one follow orders anymore? In the last couple episodes we've had Hunter, Daisy, and Lincoln going off mission in various ways. Also also, they're awful glib about telling little Mack that they work for SHIELD. 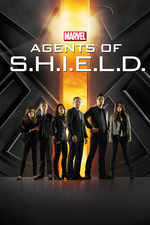 Even if you want to be mostly truthful, Mack's line should be that he used to work for SHIELD, now works for the ATCU.